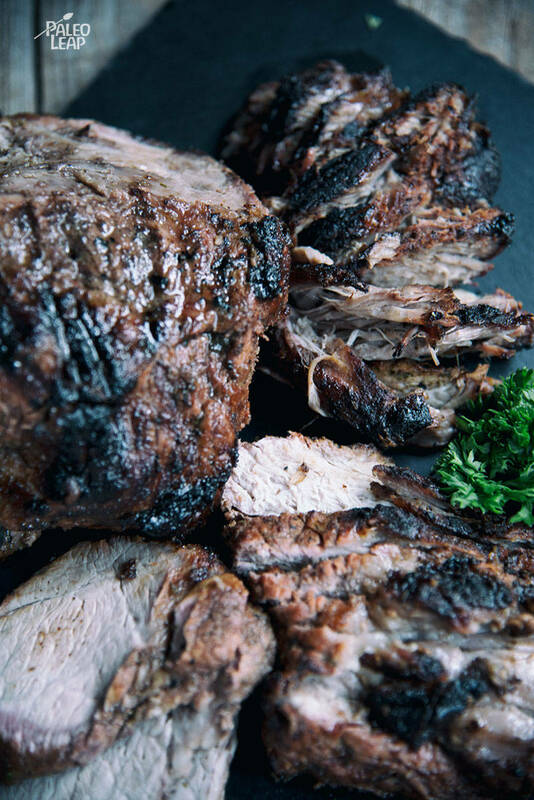 Pork shoulder is an inexpensive, yet truly delicious cut of meat — think pulled pork or roasted pork — the possibilities are all mouth-watering. This recipe uses a fresh marinade of orange, lime, cilantro and mint to bring a zesty bite to a savory roast. Luckily, pork shoulder is a budget-friendly cut and is great for feeding an entire family or large crowd. Because pork shoulder is not as lean as, say chicken breast, the price per pound is much lower. Even when you buy pork from a pasture-raised pig, the cost will still be less than a leaner cut of meat. This oven-roasted recipe is perfect to enjoy as leftovers. Try stuffing a baked sweet potato with this roasted pork, or making a burrito bowl minus the tortillas, or just serving with a side of veggies. The possibilities are endless, and so are the flavors. If you prefer not to have this as leftovers again the next day, place in a glass container and freeze, then reheat next week. In a bowl, combine the orange juice, lime juice, orange zest, cilantro, mint, garlic, oregano, cumin, olive oil, and season to taste. 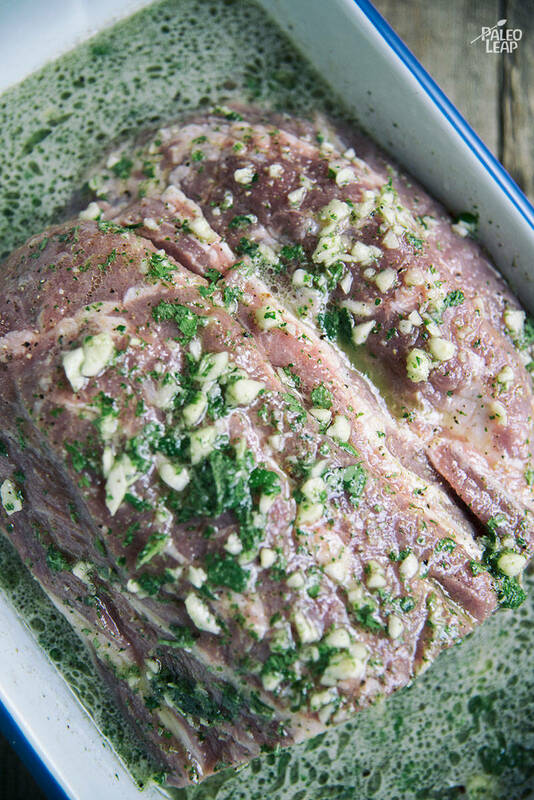 Place the pork shoulder in the cilantro-lime marinade, and marinate for 4 to 12 hours. Brown the meat in a skillet over high heat on all sides, 3 to 4 minutes per side. Roast the shoulder in the oven for 2 to 3 hours, or until the meat reaches a temperature of 160 F.
Let the meat rest for 15 to 20 minutes. Slice the pork shoulder against the grain.